For gio963tto's Lockheed Hudson A29 here. I have enjoyed this mod ....and have created yet another ...Field Mod. 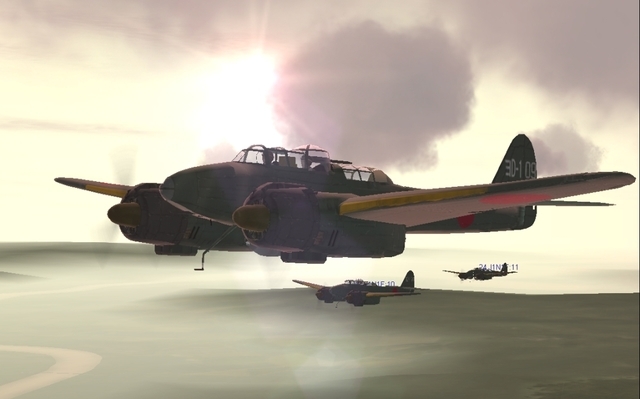 Included is a sub mod ...Lockheed Hudson A-28 MkI Early Field Mod WIP ver2 which is an A-28 with a early single .50cal top gunner and the belly gunner....and associated skins. For Loku's PZL23B & PZL42 here. Heavy caliber upgrade....it is a slow moving buzz saw ..fun to fly in groups of two or more. included is a ficticious desert polish and capture PZL42 italian skin..plus a blank. 1st Post I could restore here. For DreamK's SM.81 Pack here. I was not getting the turrets tracking in 4.10.
read also Knochenlutscher's reply here! EDIT Apr 2016: Thank you Tobias for sending me the Vers.1 link! For Knochenlutscher's Spitfire VCs & VIIIs from the Past pack here. What you will get is the Drop Tank Cylinder from the Aboukir Spitfire mod.....available to this mods MkVcFB, MkVcLF, and MkLFcLP variants. Also, you will get the Abbreviated Arms_British that comes with Aboukir mod. It was a quick fix to these variants ....or reverse engineer from the Aboukir's. Those following the Spitfire V variants may have thought of this modification already and have converted.....I did mine for some runs in the MTO and thought I should post for those who have not. For Ranwers's Siebel Si-204 mod here. You can only have one version installed under mods. Only ver4, ver3, ver2, or..ver1,...or the original. Still a 4.10 with 4.111autodiff configuration. If you download ver3 prior to 2/20/2015 6:00 GMT ......it too has had the bubble turret slightly improved. You might find you hit the least favorite attacking aircraft....at slightly farther distance ...and somewhat more frequently. What you will get is a J1N1S modded to look like a J1N1F. Added top, bottom and front Turret with a Ho-5 20mm. Added a 10x50kg bomb spawn load. Added a modded 600kgJ. Great Gerhard, thanks a lot! Page created in 2.311 seconds with 25 queries.